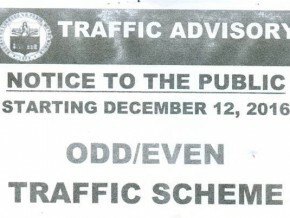 You may have already noticed it– Bonifacio Global City has implemented new one-way streets along High Street. 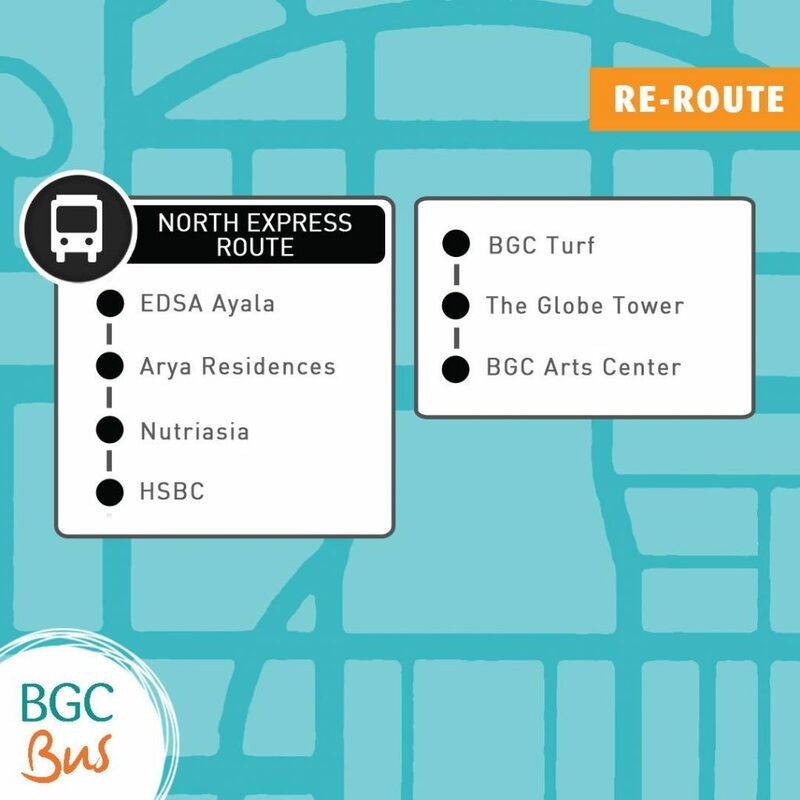 To follow with the new traffic flow, BGC Bus will also be updating their routes and schedules. 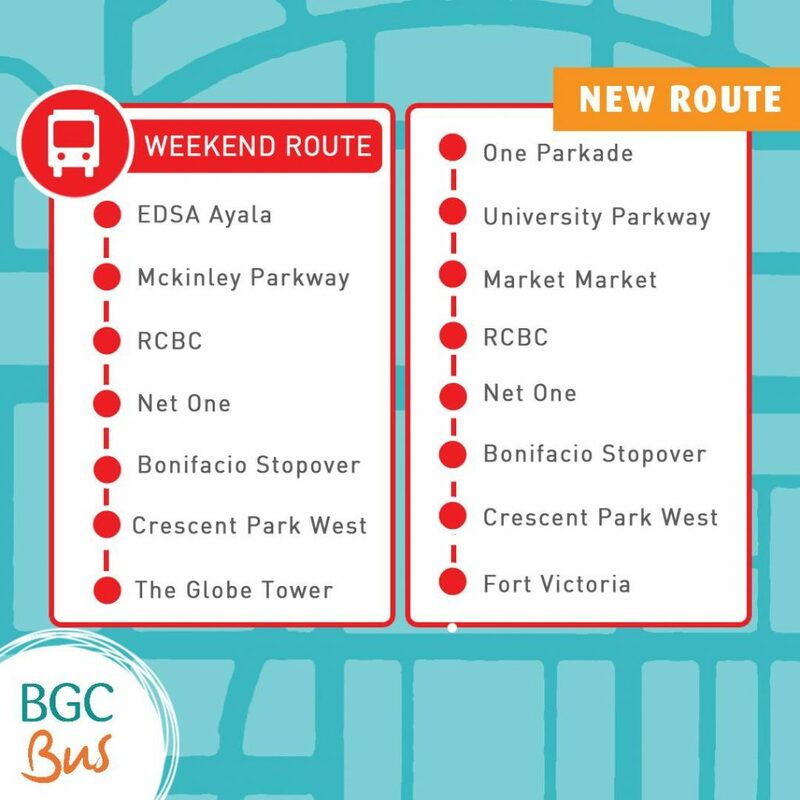 Starting September 17, 2018, BGC buses will now follow the following routes and schedules. You can still use cash or your beep™ card to pay for your bus fare. 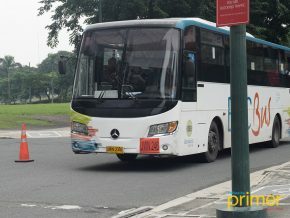 Each trip is worth Php 12 except for the Arca South route. 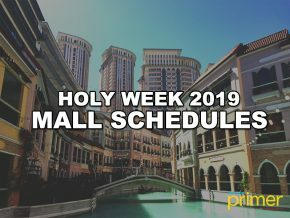 Please be guided accordingly. 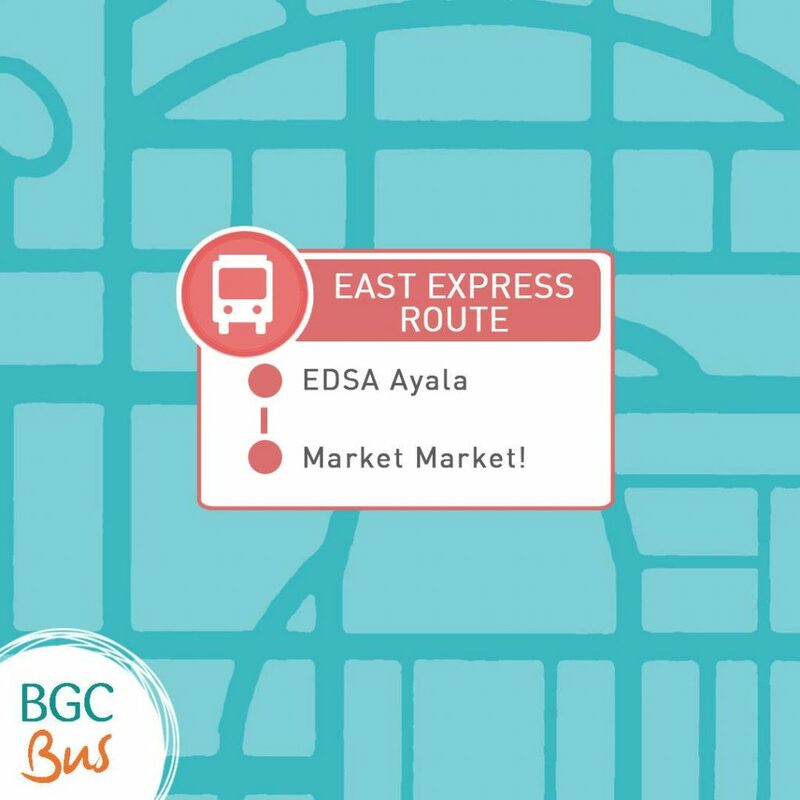 Also known as the Market Market Bus, the East Express route only services the EDSA Ayala bus station and Market Market. From EDSA Ayala, the North Express can take you to Arya Residences, NutriAsia, HSBC, BGC Turf, The Globe Tower, and BGC Arts Center. 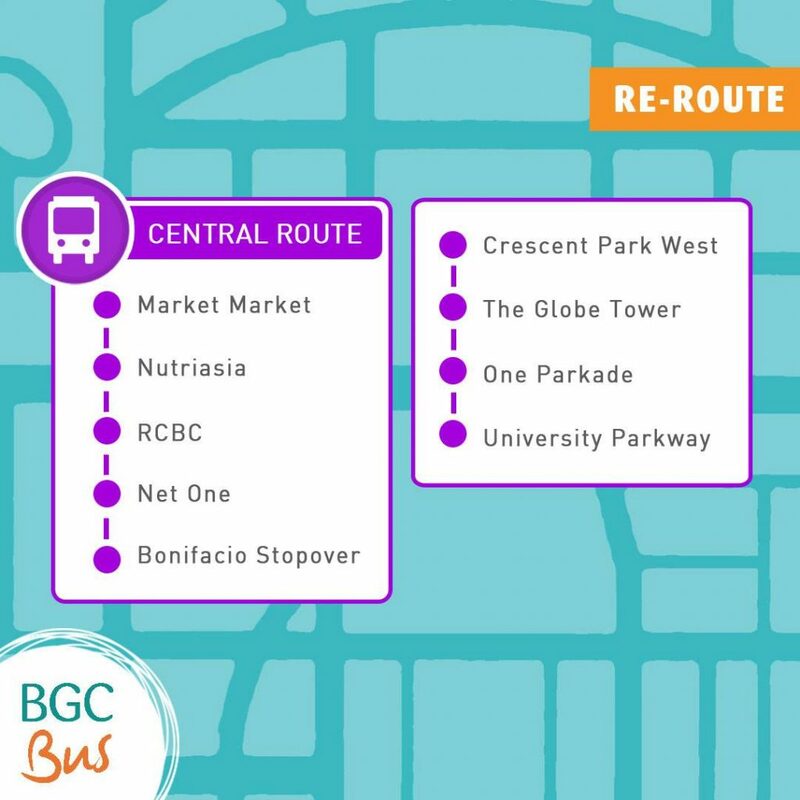 From Market Market, the Central Route can take you to NutriAsia, RCBC, Net One, Bonifacio Stopover, Cresent Park West, The Globe Tower, One Parkade, and Universty Parkway. 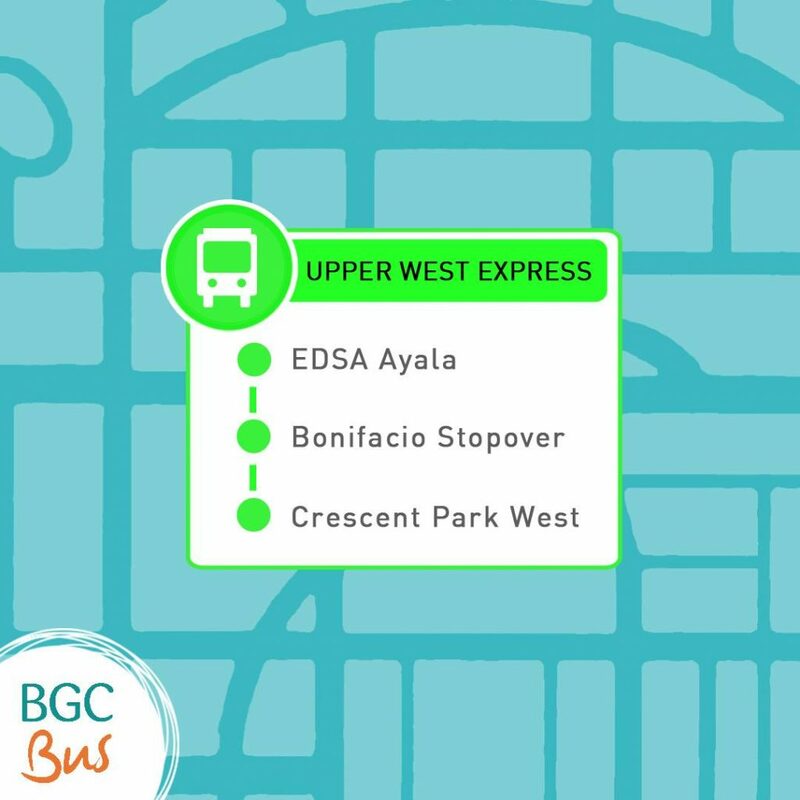 From EDSA Ayala, the Upper West Express will stop at Bonifacio Stopover and Cresent Park West. 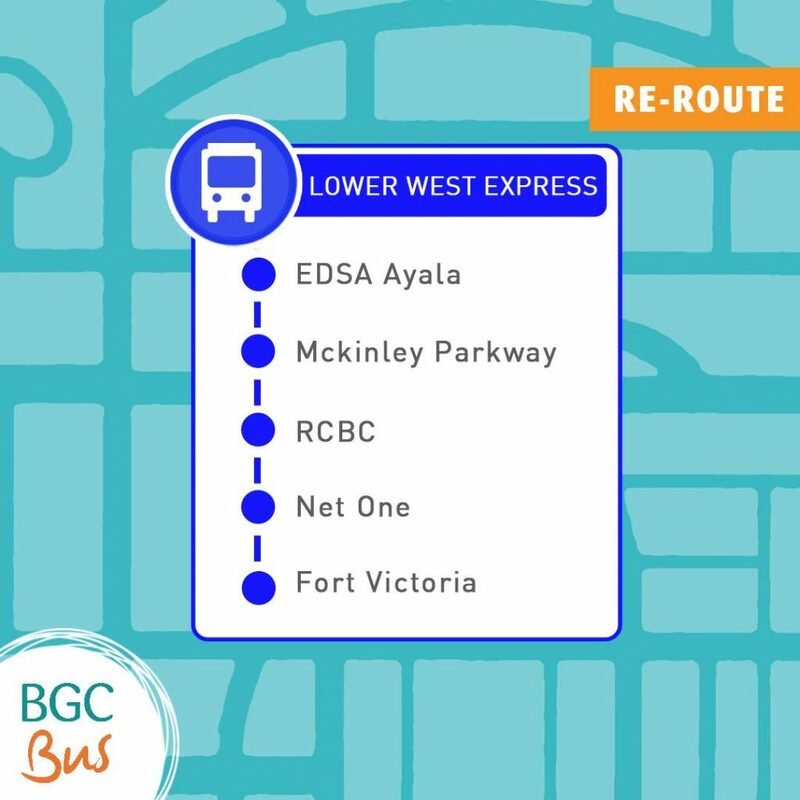 From ESDA Ayala, the Lower West Express Route will take you through McKinley Parkway, RCBC, Net One, and Fort Victoria. The Nuvali Express only has stops at Nuvali and Market Market in the morning. 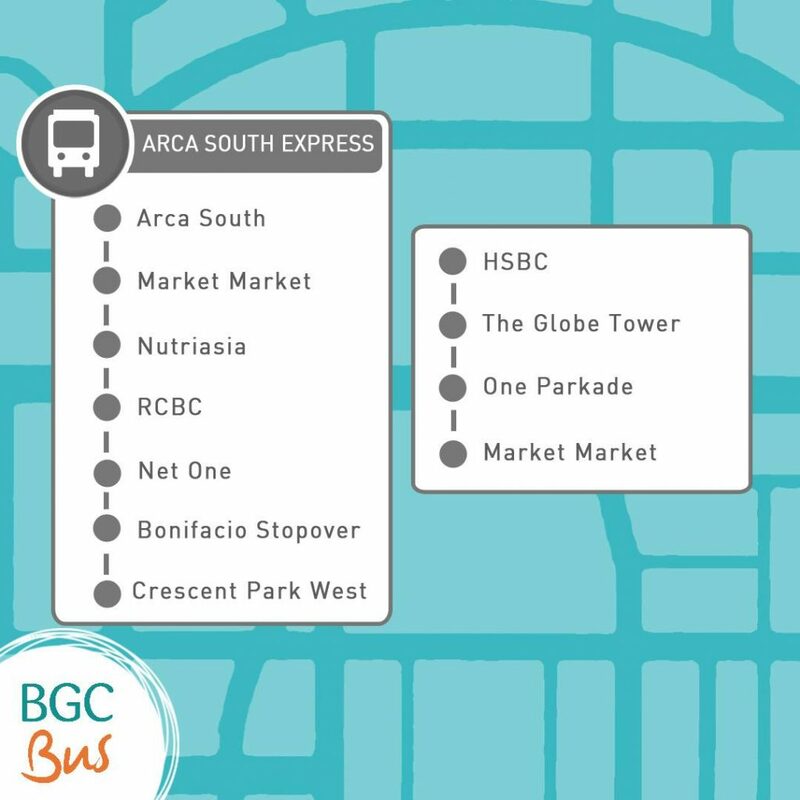 From Arca South, the bus will stop at Market Market, NutriAsia, RCBC, Net One, Bonifacio Stopover, Cresent Park West, HSBC, The Globe Tower, and One Parkade. 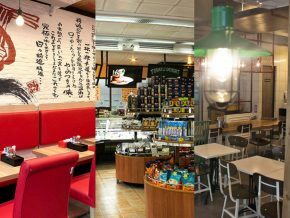 The nightlife in Taguig is amazing and there are many establishments best enjoyed after hours, at this time, the Night bus could be your ride home. 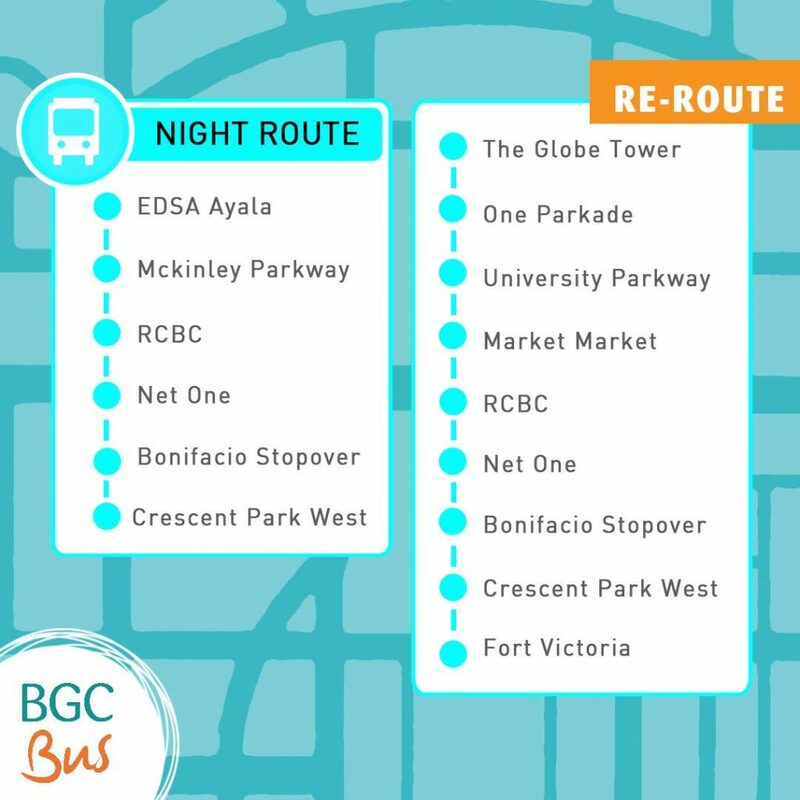 The Night Route operates from EDSA Ayala through stops at McKinley Parkway, RCBC, Net One, Bonifacio Stopover, Crescent Park West, The Globe Tower, One Pakade, University Parkway, Market Market, back to RCBC, Net One, Bonifacio Stopover, Cresent Park West and Fort Victoria. 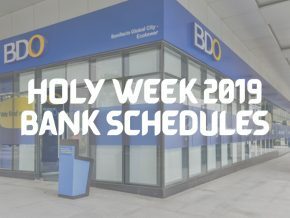 There will now only be two routes operating on weekends: the Weekend Route from 6 am to 10 pm, which follows the stops of the Night Route; and the East Express. Central and Night Routes will no longer stop at HSBC. They must proceed to the Globe Tower bus stop. 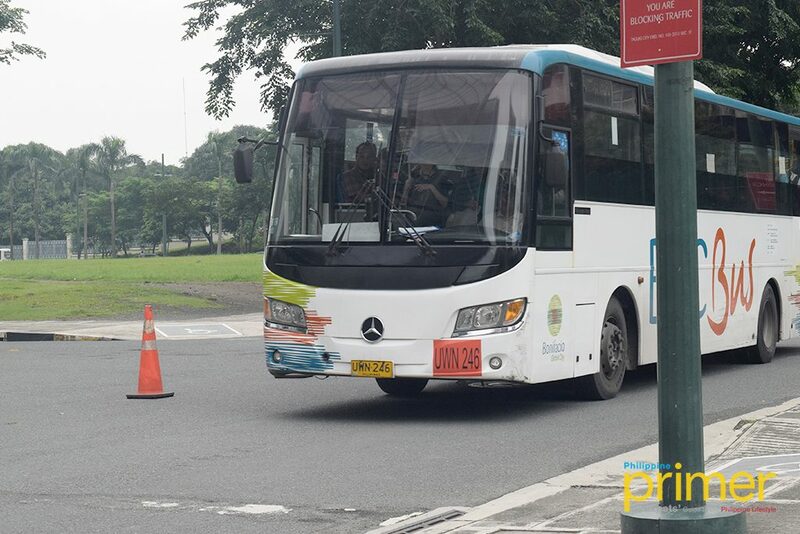 BGC has also introduced their app for mobile and you can view bus routes, locate available parking spaces, and receive traffic updates in real time through the BGC app available for both Android and iOS devices. 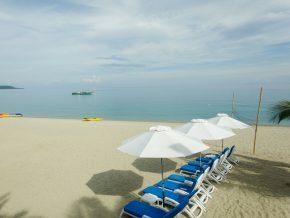 Nothing beats the calm feeling as you try different cuisines while watching sunset by the beach. 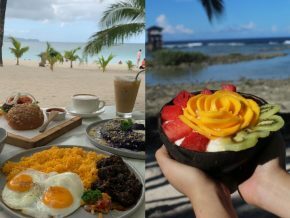 If that sounds like a good idea to you, these are the beachside restaurants in the Philippines we definitely recommend! 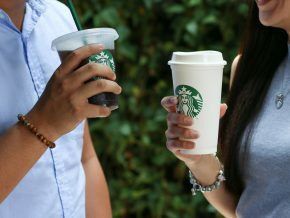 Reusable Cups Now Available in Starbucks for Only Php 100! 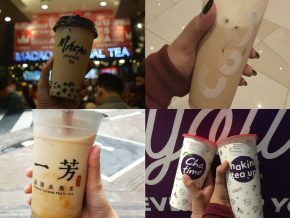 Starbucks Philippines released new reusable cups for their hot and cold beverages that you can purchase for only Php 100 each! 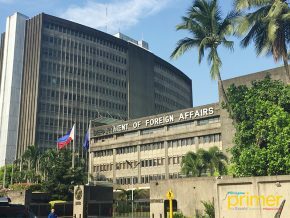 Following the 6.1 magnitude earthquake that struck Luzon yesterday afternoon, April 22, Malacañang suspends government work in the National Capital Region (NCR) earlier today, April 23. 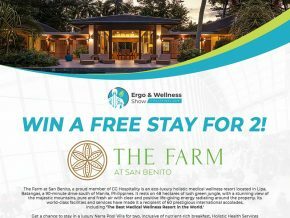 Win a free stay for two at The Farm when you join the Ergo and Wellness Show Philippines 2019! 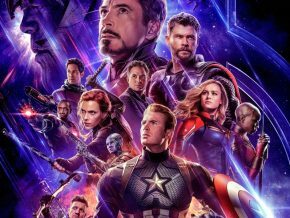 Looking for the perfect time to catch Avengers: Endgame? 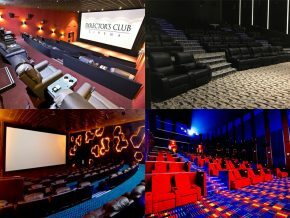 Here's a list of cinemas that offer 24-Hour screenings for the much-awaited installment of the Marvel Cinematic Universe.